Thanks to FUSEN Kyokuren sensei, some of the Kashiwa International Rodge residents participated in the 41st Kyokuren-Kai Japanese Dance Recital. 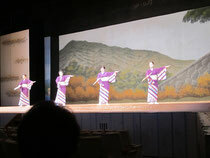 The picture is "Miyagino Bon-uta” by 2 lodge residents and 2 former residents. 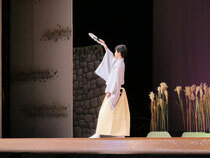 I also joined and danced "Kuroda-bushi" alone this year.